There are many reasons why I’m excited about Dulux partnering with DOC to protect New Zealand’s backcountry huts. Firstly, I’m excited that we have a new partner investing in conservation. As Ecclesiastes says: “Though one may be overpowered, two can defend themselves.” In other words, together we can achieve more – and we all want more conservation. Secondly, as an avid (but amateur) interior decorator and home renovator, I’ve personally been in a relationship with Dulux for years. And while a lot of people don’t love work spilling into their private lives, most of us would agree that it’s pretty great to have the things we enjoy in our private lives spill into work. A small sample of Dulux from my personal collection. And despite what it looks like, my husband didn’t decapitate me and artfully place my head on our bucket of Dulux Ceiling White! Head to the Protecting Our Place website, summon your creative genius, paint a DOC hut (virtually of course – none of that annoying real life preparation or messy clean-up), and be in to win. So, hopefully by now you’re as excited as me about putting the colours of New Zealand to work for conservation! Don’t forget CAPE BRETT. 🙂 and bright colors so the excitor passengers and all the tour boats can see it when they go past ! Hi, I was passing by Tarn Ridge hut as they were wrapping up filming for the new ad, and must say the bright red roof is a nice addition . Though I am worried about where this might end up, as the colour palette is very limited and possibly impractical . What is wrong with NZFS manderin a very safe and practical colour, especially in clag . People who moan about a bright red roof have no real idea about tramping, originally most huts in the back country started life as bright orange . When you are above the clouds in total white out you want the hut to be a colour that is in extreme contrast to the environment . Not something that blends in . This can be the difference between life and death . Great idea! Pity about the colour of the roof, Bright red is not a conservation colour. Surely the huts should blend into the landscape as much as possible by being painted in colours of nature. Isn’t that what ‘colours of New Zealand ‘ means? It is a great idea isn’t it?! Personally, I think bright red is a fabulous conservation colour (and I’m sure Project Crimson would agree!) The ‘colours of nature’ are nothing short of vibrant, diverse and inspiring and I think the bright yellow of the kowhai flower, and the azure-cyan colour of the ocean, have as much right to be represented as the earthy brown soil or moss green forest floor. I do ‘get’ the blending in with the landscape comment though (although I don’t actually know DOC’s policy or official point of view on this). Speaking personally, I don’t think I’d mind, after a hard day of walking, to spot a cheerful red roof welcoming me from a distance – but I certainly wouldn’t want the landscape littered with too many of these intrusions. We could probably put this down to personal taste. I’d be interested in hearing what other people think. It’d be great to find out what the ‘colours of New Zealand’ mean to different people. I do really appreciate you leaving a comment and giving me some interesting food for thought. Have you had a crack at painting your own hut online yet? I’d love to see what you come up with. This is a great idea .. however I do agree with Lynette, i was dissapointed to see a bright red roof, i believe it should blend in with nature. Sounds like a plan to me! The closest match I could find for you in the Dulux online “Paint a hut” tool is Hauraki Gulf for the blue and Port Ohope for the yellow. Do you think you could cope with a paint colour that’s named after an area in a competing region, or does this cause a conflict of interest? Great stuff Dulux I think this is one of the best promos I have ever seen….how can I get involved!! It is a great promo/partnership isn’t it? I’m pleased you’re as excited as I am! You can register your interest to volunteer on the Protecting Our Place website. 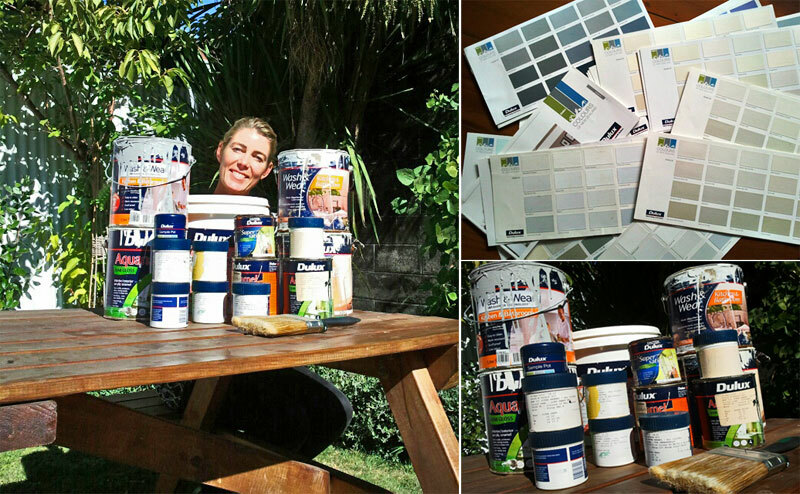 What a ripper of an idea.Well done Dulux, an iconic kiwi brand. Last week I saw some of the huts in the Clarence river reserve including the ones now protected in the care of Historic places trust. I am a starter with my trusty paint brush when you want a volunteer. Thanks Julie! Have you registered your interest to volunteer on the Protecting Our Place website? It’d be great to have you involved.